Home Food Health and Nutrition Stay Healthy This Summer With These Amazing Tips! When you think of the sunny season, you think of some characteristical summer things. Sweaty afternoons, a nice cold shower, fruits, juices, and siestas! 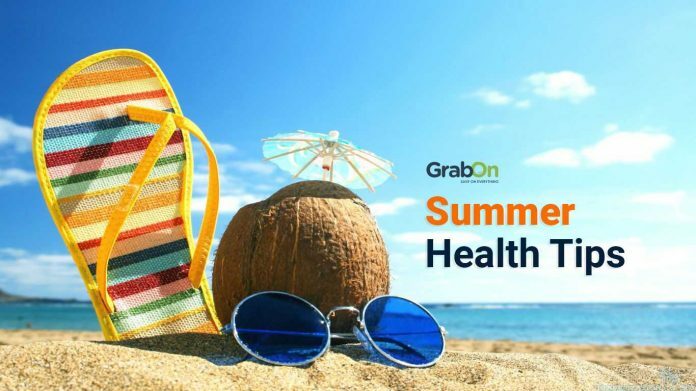 With summers getting hotter, and hotter with every passing year, you should know what to do to stay safe and healthy this summer. So, what should you do to stay safe? Well, we got you covered! Take our advice and stay safe and cool this summer! It is always much more important to stay cool from the inside than the outside. In that aspect, what you eat, is extremely important. So, we have decided to chalk down the essential foods you need this summer. Vitamins A, B1, B2, C, E, K- These are found abundantly in green vegetables and fruits. Dietary fibres which help in the regulation of cholesterol and blood sugar. Antioxidants in fruits and vegetables also help in neutralizing free radicals in our bodies, which helps boost overall health. 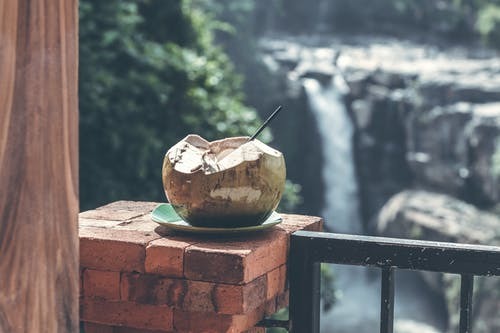 Coconut water helps in maintaining the PH balance of the body. It further helps in summer related problems like constipation and indigestion due to the presence of natural enzymes. Presence of cytokinins in it makes it beneficial primarily in summer for maintaining good skin health. It helps in hydrating the skin and works as an anti-ageing agent. Due to less in sugar content and calories, it is one of the ideal drink in summer for weight watchers. Curd is a great probiotic. The good bacteria present in curd helps to clear out the digestive system and improves our gut activity. It is loaded with calcium, vitamin B-2, vitamin B-12, potassium, and magnesium. Curd can prevent the accumulation of cortisol in our body, which eventually leads to obesity and hypertension. Watermelons contain citrulline, which helps in increasing nitric oxide levels in the body. Nitric oxide helps blood vessels expand, which lowers blood pressure. Watermelons also have vitamins A, B6, C, magnesium and potassium. Lemon juice is a great source of vitamin C which helps in protecting the boy against immune system deficiencies. Drinking lemon juice with warm water every morning helps in maintaining the pH balance of the body and keeps the body hydrated. It has high antibacterial properties and thus helps fight infections, acts as a detoxifying agent and helps fight the common cold. Nutrients including Vitamin C and K, Magnesium, Potassium etc. Lowers Blood Pressure due to high levels of manganese, fibre and potassium. It contains fisetin, caffeic acid, cucurbitacins and lutein, all of which have the power to reduce cancerous symptoms in the early stages. A quick fix to cool yourself this summer is fruit juices! They are not only delicious but also extremely helpful when it comes to beating the heat. Drink up juices that are packed with Vitamins and nutrients. Stay hydrated, lads and lasses. There can be no substitute for the good ol’ H2O. To add some “sciency” stuff to it, water has the highest specific heat capacity of any liquid. Which means it absorbs heat! Say goodbye to summer, the proper way! 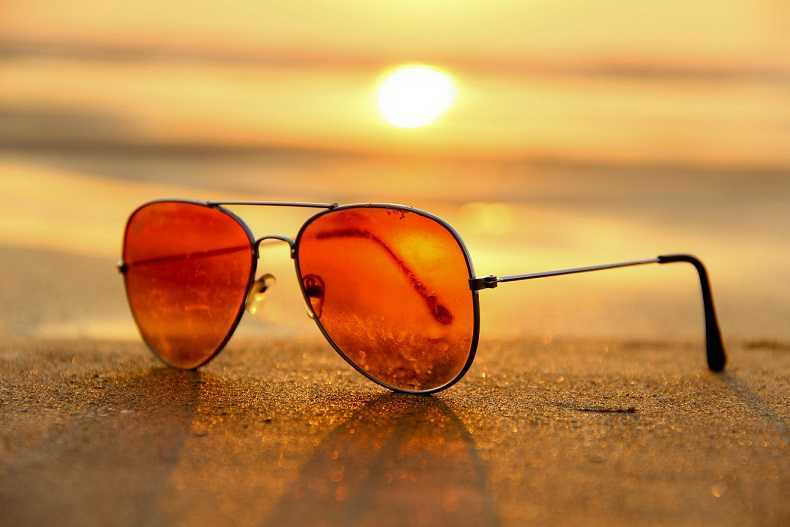 Summer is finally here, so you can now finally rest easy and not worry about your lack of vitamin D due to the absence of the sun. However, in tropical and arid regions, the sun means heat waves and heat strokes. So, what can you do to stay fine this summer? Well, we have a bunch of suggestions! This will not only help you shed those winter pounds but also keep you fit. 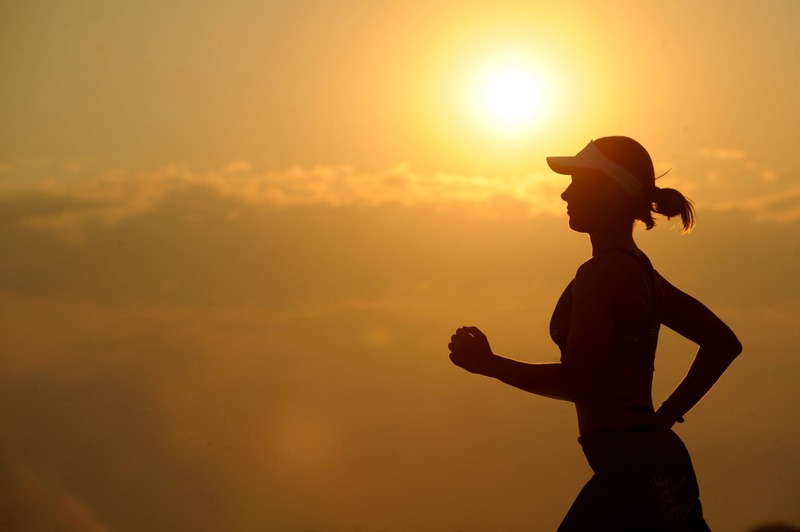 Workouts and exercises mean you will sweat much more, thus unclogging your skin pores. This will, in turn, help you with clear skin. Don’t forget to drink water after all those flexing! Since the sun stimulates growth for most vegetables, the summer season is perfect for everyone. 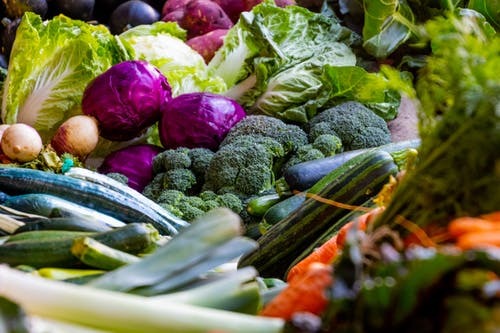 Particularly helpful for growing adults (students and children), senior citizens, summers produce fresh green vegetables like kale, spinach, and cabbages. This is also helpful if you want to achieve that clear, beautiful skin we all want so bad! Get enough sleep during summers, ideally for 7-9 hours. 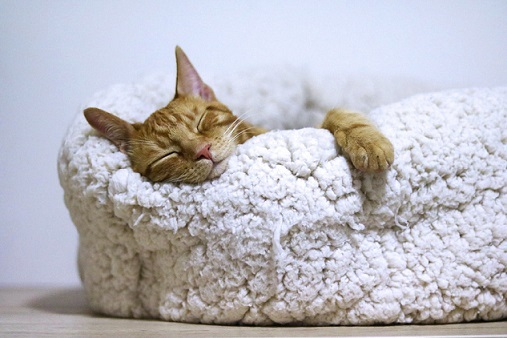 Sleeping not only absorbs the nutrients in the body but also ensures that the body cools down in the process. It also stimulates a lot of positive health benefits. Alcohol increases internal body temperature. Be careful not to do a lot of alcohol in this summer. Not only will it adverse your liver but also make you feel nauseous. Moderation is the key here, ladies and gentlemen. Too much sunlight is not good for you. So keep your head protected with a cap and wear some sunglasses to ensure your eyes don’t get affected by those harsh sun rays. Apply sunscreen when you go out to ensure you don’t get exposed to UV radiations. Antioxidants are extremely important for breaking down free radicals in your body, which play a major role in heart diseases and other ailments. Antioxidants can include blueberry, strawberry, carrots etc. Eating too much junk/fried food leads to accumulation of saturated fats, and this might lead to lethargy, loss of energy and fat accumulation. It also affects the skin, making it look unhealthy. Moreover, going healthy is always the better choice in the long run, right? Take a bath twice, apply some talcum powder and don’t forget to wash your clothes on a regular basis. Weekly, wash your clothes with a disinfectant along with soap. Too much of coffee and tea leads to too much urination due to their diuretic property. Too much urination will lead to loss of water from the water, making you feel dehydrated. A no-brainer! Keep a water bottle with yourself and drink as much water as you can. Ideally, you should drink 8-9 glasses of water daily. You can also drink a lot of lime water to stay rejuvenated. Do NOT skip water! Eat seasonal fruits and vegetables. Keep in mind to add salads, juices, sprouts, and curd in your diet. Avoid oily and rich fruit and increase your nutritional input! Remember that no amount of workout can lead to a healthy life if you do not eat well. It will not only improve your internal health but also boost your immunity, give you clear skin and is very important for long, happy life. So, that’s all from our end. Remember the most important thing about summer is to eat well and healthy, stay hydrated all the time, sleep well and to work out. Enjoy the summer with delicious juices and eat a lot of protein and vitamins. And if you have some summer inputs for us, let us know in the comments section as well!